Fitzwilliam admits two to three students to read Veterinary Medicine each year. We are very proud of the academic and pastoral support we offer our students. At Fitzwilliam, our close-knit vet community, consisting of students from all six years of the course, receives outstanding academic, pastoral and social support. The vets have both a Preclinical and a Clinical Director of studies, both Fellows of the College, who personally monitor the progress of each student throughout their training, offering academic and professional advise and support. Our active, student-run Medical and Veterinary Medical Society (FCMVS) arranges a wide variety of talks, debates and social activities throughout the year while our clinical students, through the ‘college family scheme’, provide peer support and guidance to our preclinical vets ensuring a smooth progression throughout the course. We are one of the closest Colleges to the Vet School, yet only a ten-minute cycle ride from the centre of Cambridge. We have our own veterinary resource centre on site with skeletons, anatomical models, microscopes and slides, radiographs and a private study area for use by vets. The vets have access to veterinary textbooks both in this centre and in our well-stocked College library and I.T. centre. In addition we provide all pre-clinical students with personal copies of core textbooks for all subjects studied in the first two years. On qualification Fitz vets have entered all aspects of the veterinary profession. Recent graduates can be found in small, mixed and large animal practice (both in the UK and overseas) and have taken up internships and veterinary research positions at veterinary schools in both the UK and US. Applicants who satisfy the entry requirements and impress at interview can expect to receive a conditional offer. The typical A Level offer for Veterinary Medicine A*AA in three sciences or maths subjects. The typical IB offer is 40-42 points with 776 at Higher Level. A Level (or equivalent) Chemistry is required, and it is usual for Fitzwilliam College to specify that the A* grade should be in Chemistry. Please note that as part of the admissions process for Veterinary Medicine, applicants must sit the Natural Sciences pre-interview assessment. More information can be found on the University website. In order to give an insight into Cambridge college life, this open day is run in conjunction with Fitzwilliam College, conveniently located within walking distance of the Vet School. In the morning there will be talks at the College about undergraduate life and the early parts of the course, as well as lunch in the College Hall. In the afternoon there will be tours of the Vet School, a chance to meet current students, and information about the later parts of the course and the application process. You should book in advance for this event, but it is our intention that no one will be turned away, even if they book the day before the event. Information about how to book will appear on the Department of Veterinary Medicine website in the summer. It may also be possible for attendees to be accommodated at Fitzwilliam College for one night. The veterinary course at Cambridge equips students with the scientific knowledge and clinical skills to excel within the veterinary profession. At Cambridge this training is underpinned by the academic support and guidance provided by the Colleges. Lectures and practicals in all subjects are organized by University departments and held in Faculty buildings near the centre of Cambridge. The University's teaching sessions are supplemented by weekly supervisions in each major subject. Supervisions involve groups of two to four students, and are typically given by a Fellow or Member of Fitzwilliam. Supervisions allow discussion of individual students' work and academic difficulties. The supervision system is one of the biggest teaching advantages of Cambridge and is one of the most common reasons for students choosing to come to the University. During their first year, students study anatomy, biochemistry and physiology. At the end of the academic year, students sit an examination in these subjects - this is Part 1A of the Veterinary Science Tripos or VST. In addition to these courses, students take a course in statistics (ISBM) and one in Farm Animal Husbandry. Each of these two courses is the subject of a short examination at the end of the Lent (spring) term. In the second year, students study pathology, pharmacology, veterinary neurobiology and animal behaviour, veterinary reproduction, and comparative vertebrate biology. 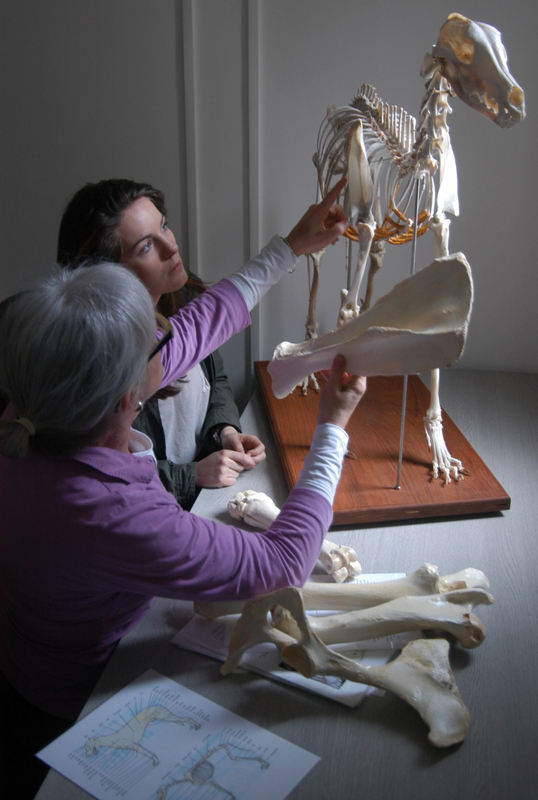 Comparative vertebrate biology is a specialised course covering the anatomy of the head in different species and looking at the biology and anatomy of fish, reptiles and birds - many species of which are now commonly encountered in veterinary practice. In the third year a wide variety of courses is available, usually selected from the Natural Sciences Part II. These courses include anatomy, biochemistry, pathology, plant sciences, pharmacology, physiology and zoology. During their first three years Veterinary Medicine students are also expected to become familiar with agriculture by working with different farm animal species during the vacations. Veterinary students who complete their pre-clinical course stay on at Cambridge for a further three years, studying clinical veterinary medicine at the Veterinary School. This clinical period requires students to put the science they have learned in their pre-clinical years into practice. Teaching in the clinical years includes both lectures and small, hands-on group sessions in 'rotations'. The final year is largely lecture-free, the focus being on the acquisition of the practical skills needed to become an effective veterinary practitioner. Completion of the clinical course entitles the graduate to membership of the Royal College of Veterinary Surgeons. Dr Kourosh K Saeb-Parsy, Director of Studies in Medicine, Supervisor in Pharmacology.